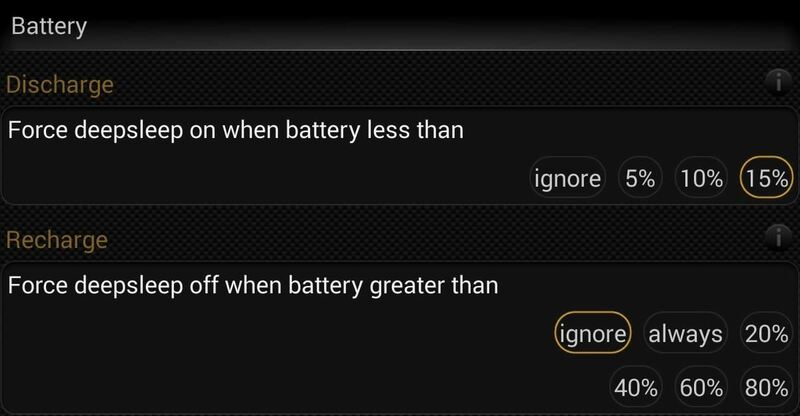 Battery life is precious to all mobile device users, and nothing is worse than running out of it. The only thing that can save a device from the dreaded low battery warning is the charger, but who carries those around? Most of the time, what drains a device's battery is the constant syncing of apps as they attempt to update and receive notifications, like email. Until new technology lessens our dependence on traditional battery power, the only course of action is careful management of power. A quick and simple way to manage that power is to use an app called Deep Sleep Battery Saver from the Root Uninstaller team. This easy-to-use app will place your device in an almost comatose state where Wi-Fi, data, and apps will no longer be functional when your device's screen is off, save for a few sync intervals to grab notifications. The free version of Deep Sleep comes with five ready-to-go profiles (modes)—Gentle, Strong, Balance, Aggressive, and Slumber. Which Deep Sleep Profile Is Best for You? Basically, each mode will have longer deep sleep periods without waking your device to sync. Gentle will wake for one minute every half hour, while Aggressive will wake for a minute every two hours. Pick the one you see best for your device, and remember, even though your Nexus 7 tablet may be asleep, whatever Android (or other brand) phone you have will still deliver notifications, so a more aggressive mode will probably work just fine for you. You could also use this app on your phone if you want. How Do You Turn Deep Sleep On/Off Automatically? The Discharge and Recharge features, which force/disable deep sleep whenever your battery life is above or below 5, 10, or 15 percent, can be adjusted or removed under the app's settings. Personally, I disabled the Recharge preference. Can You Still Use Certain Apps During Deep Sleep? Under the app's settings, you can also White list apps, which means they will not be killed during the deep-sleep process. Other things you can do under the settings include adjusting screen on/off delays, but mostly all the other advanced settings are reserved for the pro version. Should You Go Pro or Stay Free? Paying $2.59 for Deep Sleep Battery Saver Pro does have its advantages, though the free one is what I'm sticking with. With the pro version, you can create custom profiles that will allow you to adjust day and night settings, active periods, and sync strategy. Basically, you can make it work how and when you want it to. I still recommend the free version—with the Strong preset enabled, my battery life went from about 100% to 89% in a 12 hour period—not too shabby. Give a shot yourself and let us know how the app performed for you.